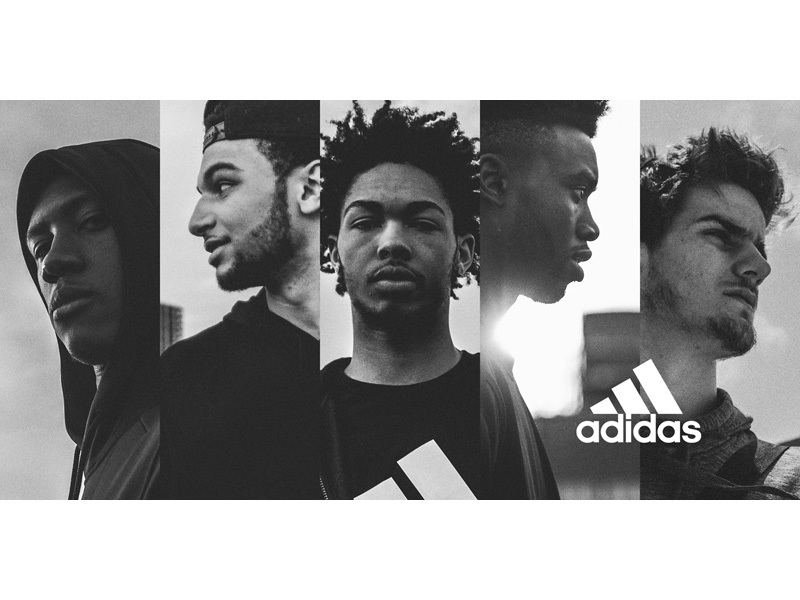 PORTLAND, Ore. (June 21, 2016) – The NBA's most sought-after draft prospects Brandon Ingram, Jaylen Brown, Jamal Murray, Dragan Bender and Kris Dunn chose to join adidas Basketball and create the future of the game. "For my family and I, joining adidas is truly something special," said Brandon Ingram. "The chemistry with adidas felt right. Every day I'm working hard at developing my game and they can help me do that on a new level. I'm always looking ahead, trying to find a chance to do something different on and off the court. adidas allows me to create and that's something I can't do anywhere else. The best is yet to come." After seasons of holding down highlight reels, adidas' newest partners are heralded for their elite skillset and creativity on the hardwood. Their path to the NBA started with loyalty to family and community and was solidified by their character, passion and dedication to the game. "Our playbook is simple – partner with the best players and use their insights to change the game and connect with young athletes," said Chris Grancio, general manager, adidas global basketball. "It's no secret that at adidas players have a voice to share ideas and insights that will create the best basketball gear in the world. We're proud to welcome them to our family and we look forward to getting started." Real toughness comes from within for Brandon Ingram. Pairing a 7-foot-3 wingspan with dynamic strength on the court, the versatile wing creates offense with poise, finishes with explosive jams at the rim and shoots sharp beyond the arc. The North Carolina native led his college team to the Sweet Sixteen and was named the ACC Freshman of the Year behind 16.7 points and 6.8 rebounds per game while shooting 41-percent from three-point range. He won four state championships at Kinston High on his way to being named a 2015 McDonald's All-American. Brandon is also passionate about art and relaxes off-court by sketching still-life images, portraits of NBA players, copies of his own tattoos and personal drawings. A fierce competitor with natural strength and intelligence beyond his 19 years of age, Jaylen Brown is as a true creator on and off the court. His freshman campaign showcased his versatility, nose for the basket and elite defensive play. The Georgia native posted 14.6 points and 5.4 rebounds per game in his freshman debut, was named the 2016 Pac-12 Freshman of the Year and previously earned McDonald's All-American honors. While he dominates on the hardwood, Brown stands out from the crowd because of his hunger to learn and desire to stay true to his values and approach. "One thing's for sure – I'm not going to change who I am," said Brown. "adidas represents that originality and I was drawn to their team because they stand for something. There's a great opportunity to lead and seeing what they have ready for seasons ahead…I was sold. I'm ready to get to work." Born in Bosnia-Herzegovina, Dragan's game features an explosive first step, quickness in transition and sharp-shooting on the perimeter. At just 18-years old, he is the youngest player on Israel's Maccabi Tel Aviv in the Euroleague and continues to develop his skillset at multiple positions from both ends of the floor. Dragan embraces a family-first mentality and aims for a selfless style of play that drives create offense on the court. "adidas has been a great partner early in my career, and I'm excited to be a part of the family as I start my NBA journey," Dragan said. "I'm always looking for ways to improve – focusing on training and growing my game every day. Wherever I land, I want to be next year's difference and adidas will help me get there." Leading this summer's draft as the most physical floor general, Kris Dunn blends a unique combination of speed and power that makes him one of the most difficult guards to defend. He weaves through traffic with ease, operates with smooth handles off the dribble and controls tempo on-court with elite defense. Kris averaged 16.4 points, 6.2 assists, 5.3 rebounds and 2.5 steals on his way to being named the 2016 Big East Player of the Year and Defensive Player of the Year for the second straight season. He aims to thrive as a voice in his community and represents his game with a family-first mentality. "I'm always training to get better, and I'm ready to compete against basketball's best," Kris said. "Choosing to join adidas came down to two things: family and performance. They'll elevate my game on the court and allow me to be a part of the process but most importantly, help build a presence in my community to give back. That's what it's all about for me at the end of the day." Deployed as a sharp shooter in his freshman campaign, Jamal Murray plays with a versatile skillset and finds different ways to attack the basket. He developed his game as a complete guard, proving to serve as a playmaker in the clutch with leadership and on-court vision. The Canada native averaged 20 points per game and shot 40.8-percent from three, earning First-Team All-SEC honors. Fostering a "straight to the gym" mentality, Jamal trains with a relentless work ethic and focus on improving performance. "Basketball is life for me," Jamal said. "It's about having fun but you've got to put in the work. After meeting with adidas, I knew they would be the partners to start my NBA journey with. Working on this together, embracing that team mentality and setting a direction for where I want to go in my career plays a huge factor."